18 Countries. 56 days. 12,000 miles. 250 Rubber Duckies. We Completed the Mongol Rally! WE MADE IT TO ULAANBAATAR!! 12,000 miles. 56 days. 18 countries. 16 mechanic shops. 3000km on 3 pistons. $9000 for charity. And 250 rubber duckies. 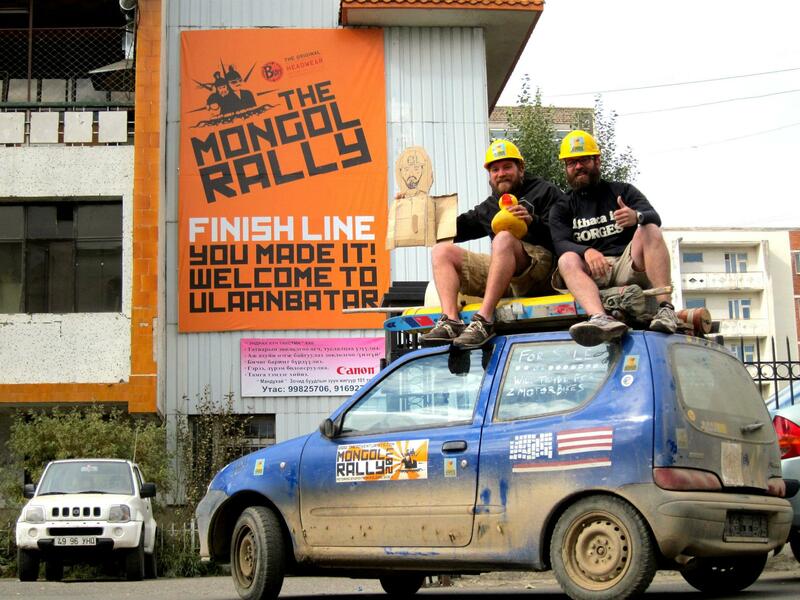 We finished the Mongol Rally! The last two months on the Mongol Rally was one of the most exciting and toughest things I’ve ever experienced. I’m happy to say that, against all odds, we managed to push our barely-moving Fiat Seicento all the way across Europe and Asia to the finish line in Mongolia. Along the way, we raised thousands of dollars for charity and gave away rubber duckies to hundreds of kids. It was the adventure of a lifetime!